Baked apple chips are sweet, crunchy, and the perfect little snack. A great and healthy chip to satisfy that sweet tooth! These baked apple chips give me life. They are SO yummy. And aren’t they one of the the prettiest snacks you’ve ever seen? I love the the shape apple slices make when you cut them horizontally. This recipe only calls for a tiny bit of sugar but if you want to go even healthier you can omit the sugar all together. 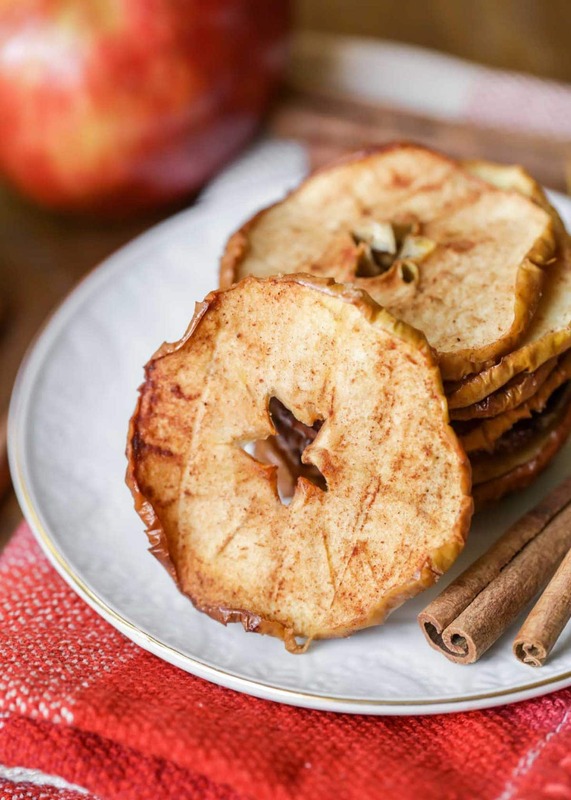 The cinnamon brings such a yummy flavor to these crispy apple chips. No fryer here! 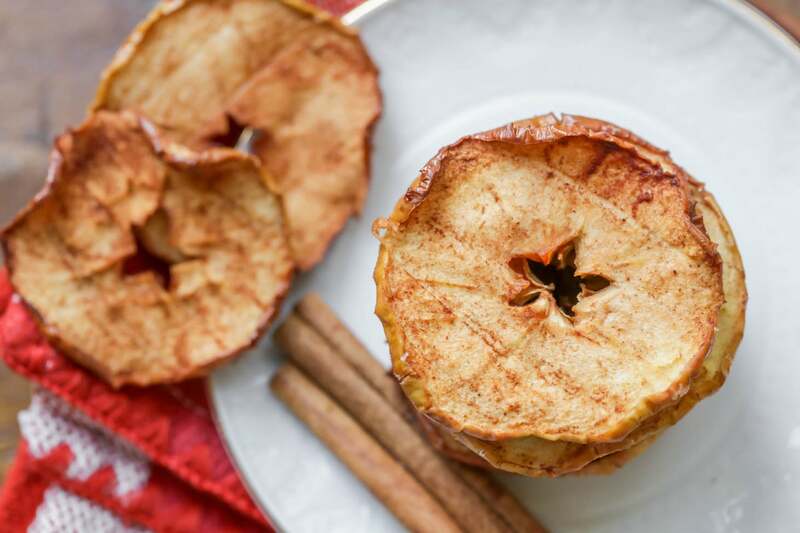 These apple chips are baked which makes them totally guilt free! Plus, the clean up is quick and easy. I don’t have time for extra dishes. 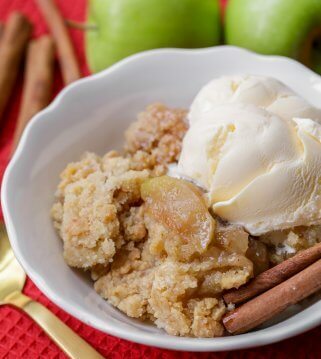 Just three ingredients and a few simple steps to make your own apple chips! This is a fun recipe to do with your kids – they will love making and eating these scrumptious little treats. 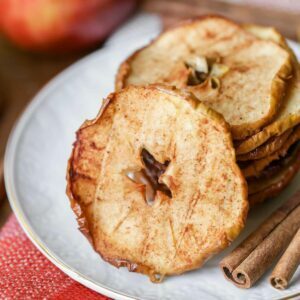 Best apples for apple chips? We typically use Honeycrisp or Gala, but other varieties that work well include: Granny Smith, Fuji, Goldrush, Pink Lady and Cortland. 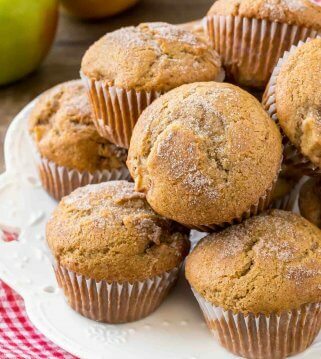 You only need three ingredients for this recipe – apples of your choice, sugar, cinnamon. I love a good 3-ingredient recipe. Mix the cinnamon and sugar together in a flat dish. 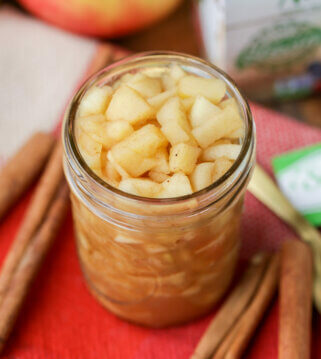 Slice up the apples horizontally and toss in the cinnamon/sugar mixture. Take a cooling rack and put it on top of a cookie sheet. 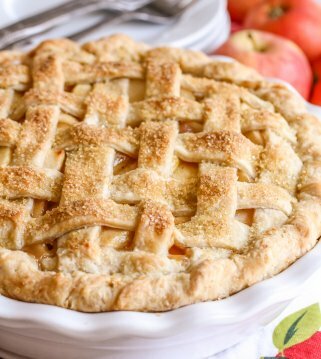 Lay each apple slice on the cooling rack in a single layer. Put it into the oven at 200 degrees and cook for 2-3 hours. Flip the apples halfway through so that they cook evenly. When they are ready, they should be dry but still pliable. I prefer making apple chips in the oven, but if you want to make apple chips in a dehydrator, cook them at 135 degrees F for 6-8 hours until they are dried and crisp. If you’d rather make them in your air fryer, cook them at 375 degrees F and bake for 8 minutes. Make sure to flip them halfway through to cook and crisp evenly! Mix cinnamon and sugar in a flat dish. 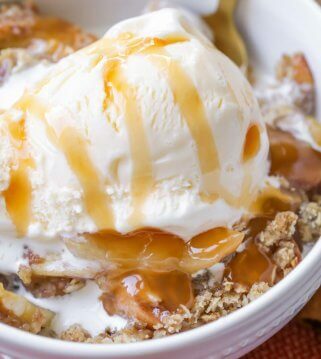 Cut apples horizontally and toss slices in the sugar mixture. Place a cooling rack onto a baking sheet. 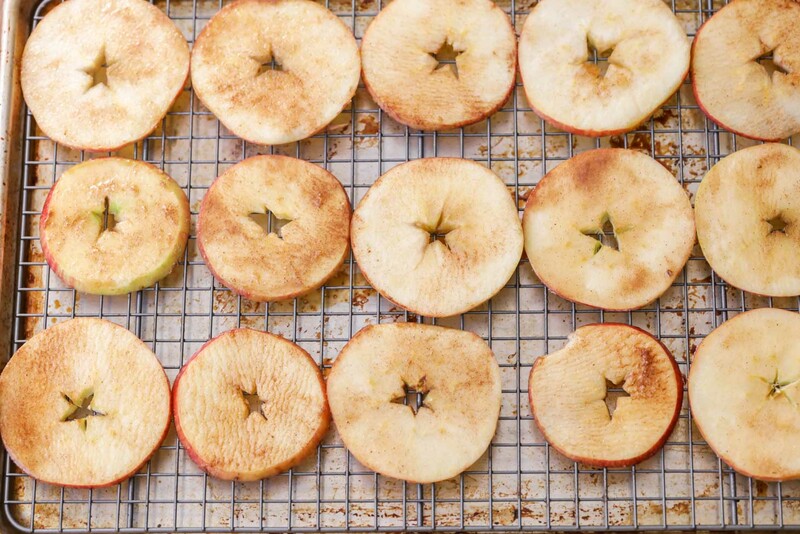 Lay apples slices onto the baking sheet in a single layer. Cook at 200 for 2-3 hours, flipping apples halfway through. Bake until dried out but still pliable. Enjoy! These look delicious, pretty, and Wholesome. They would be great for an after school snack! These were super yummy!! 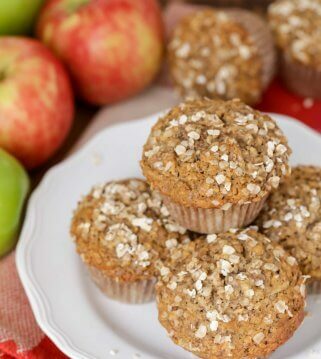 It’s a great way to use apples. It is worth the time it takes to make for sure. Love this healthy snack option! thse are the BEST for an after school treat. My kids and their friends lOVE them!! A great homemade snack without much effort. It reminds me of the oNes you buy in the store. Healthy and great for your little ones. These apple chips are So, So GOOD! My kids LOVE them too! My kids love these apple slices. THEY’RE so easy to make. I lOve the star shape as well!